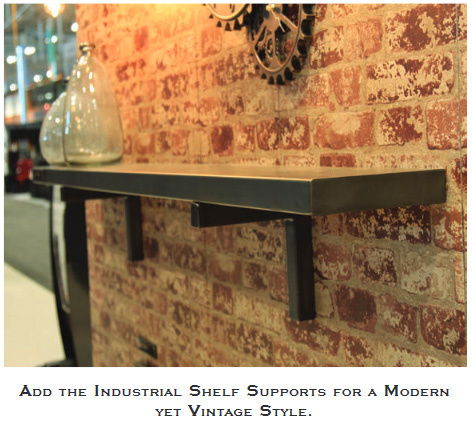 The industrial trend and contemporary metal finishes are hot today in home design, but you may have found the choices in mantel shelves to be somewhat limited. 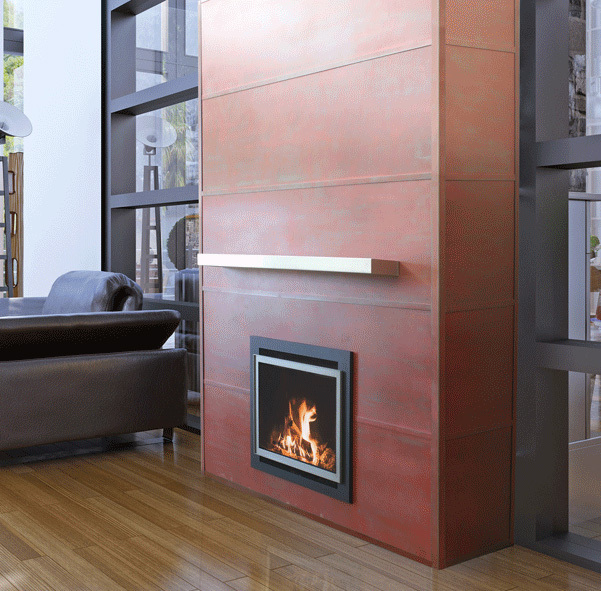 We have just the answer for you with a metal mantel shelf, custom made in your selection of designer finishes in just 3 weeks. 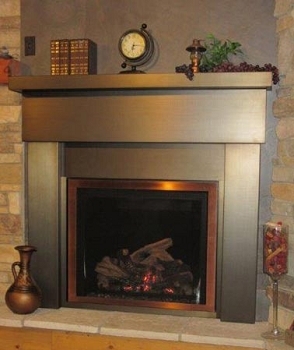 An added benefit of a steel mantel shelf is that they're completely non-combustible, allowing them to be placed closer to the fireplace opening, and they also provide a means of deflecting heat away from tv's and entertainment systems that are installed above the fireplace; lowering the mantel shelf allows you to bring your television down to a more comfortable viewing height. 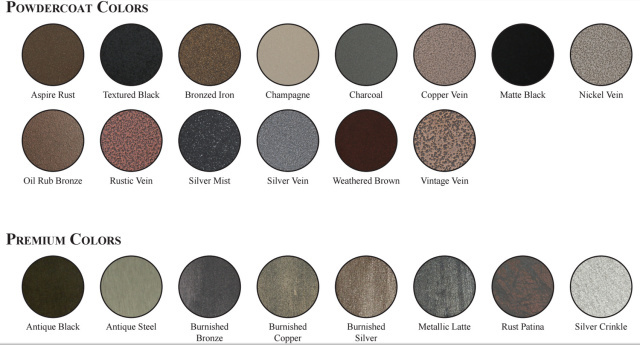 There are 3 stock sizes available (60", 72", 84") in your choice of 3" or 4" thickness, in many designer finishes. They mount easily with just a drill and a level. 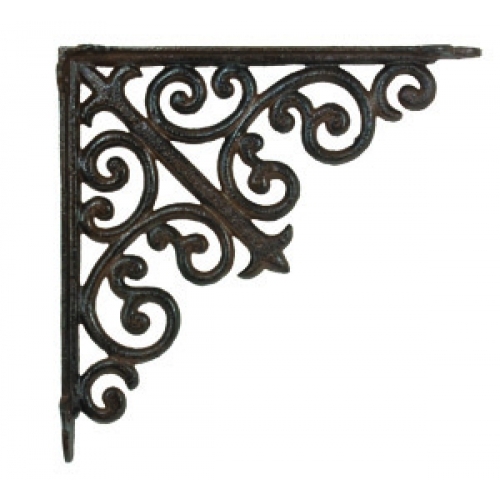 MEASURE CAREFULLY - custom mantel shelves are not returnable.